Our second villa was retro inspired with high ceilings and popping colors and prints in the interior. Such a hidden pearl behind a big door in the middle of Seminyak's core. 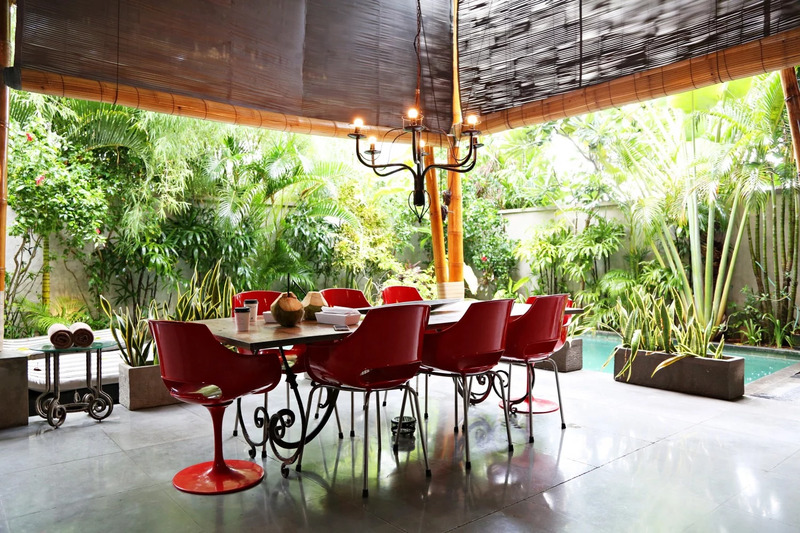 I love the color red so I just had to match our dining table a bit with this red Bali set. We got tasty breakfast and coconuts (a must!) from one of our favorite cafes Revolver just outside our villa. We'll show you more of this cool place shortly, it had 4 big bedroom with more retro interior and cool outdoor bathrooms.